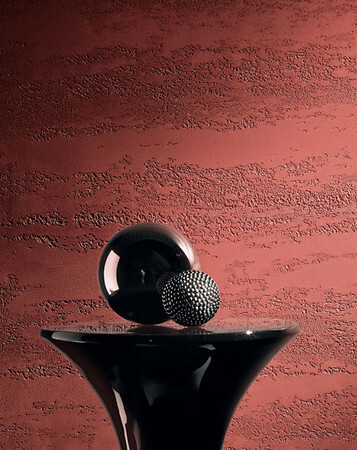 TRAVERTINO ROMANO by OIKOS is a special decorative coating, for interiors and exteriors. 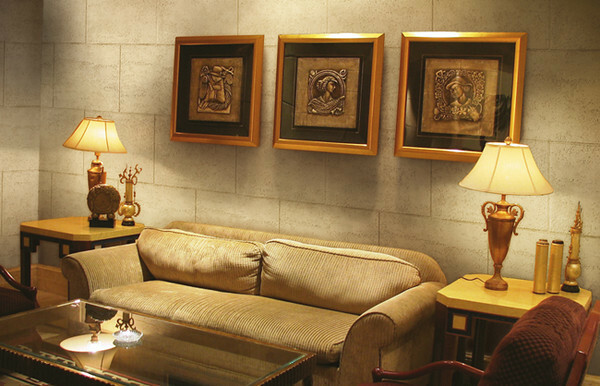 The product, which is ready to use, is based on sand, selected marble powders and matured lime putty and presents itself as a homogeneous paste that is easy to apply and through the correct technique, allows the realisation of a stone effect that highlights the veins and texture of natural stone. One of the main characteristics of the product is that of bonding with the surface in such a way as to create a single body. 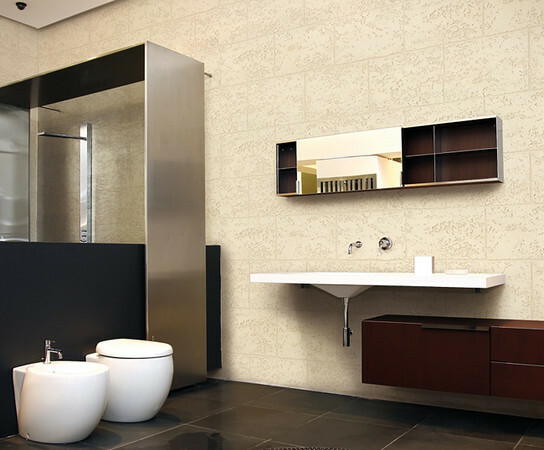 TRAVERTINO ROMANO prevents the development of mould, algae and bacteria. It has a low odour level, is non inflammable and is friendly to both humans and the environment. Spread TRAVERTINO ROMANO over the surface using an inox steel trowel by OIKOS (art. 113 by OIKOS), leaving a thickness of approxiamtely 1,5 Ã· 2,0 mm. Following this immediately proceed to work TRAVERTINO ROMANO by dabbing the surface, using the indicated tool (art. 133 by OIKOS), in order to create the irregular veins of Travertine stone. On the remaining areas, dimple the surface in an irregular fashion using the same tool. Once the product has started to dry, proceed to smooth over the surface for the first time, using an inox steel trowel, compacting the most evidently dimpled patches. 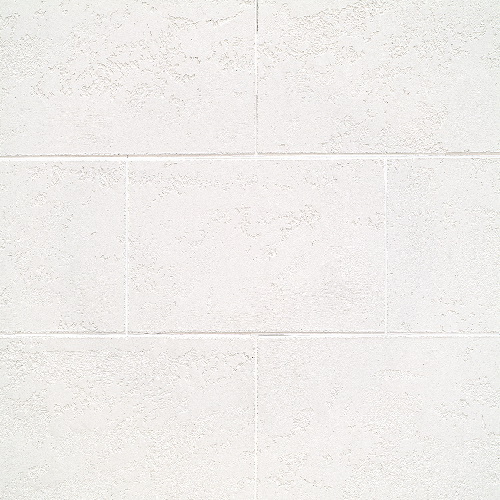 When the surface of the product is nearly completely dry, repeat the smoothing over of the surface using greater pressure until the surface is smooth in large areas with dimpled veins running across it that imitate the veins of Travertine stone. To reproduce the joints between the various blocks, once the surface has been smoothed over and compacted, score into the surface of TRAVERTINO ROMANO, using the corner of the Small spatula for Raffaello by OIKOS art. 111 (or a screwdriver) thus obtaining a block design of the desired dimensions. To obtain a straight line, use a wooden plank as a guide. Leave the product to dry for at least 24 hours before proceeding with the application of the finish.